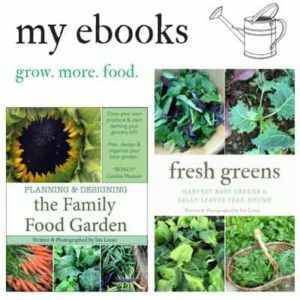 What is the difference between pea shoots and pea plants? 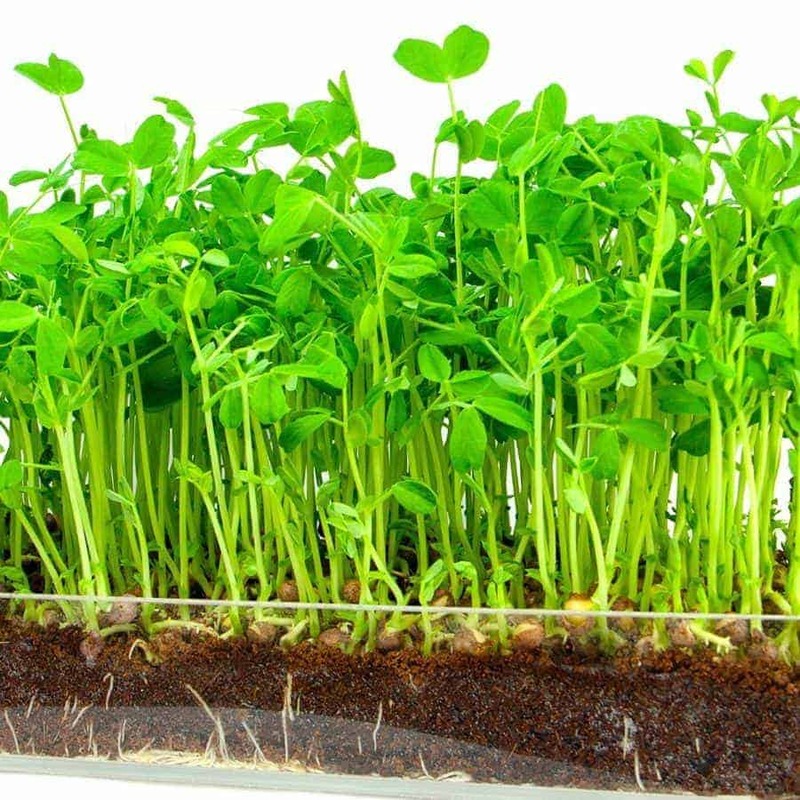 When peas sprout they create a ‘pea shoot’ which many people enjoy eating. 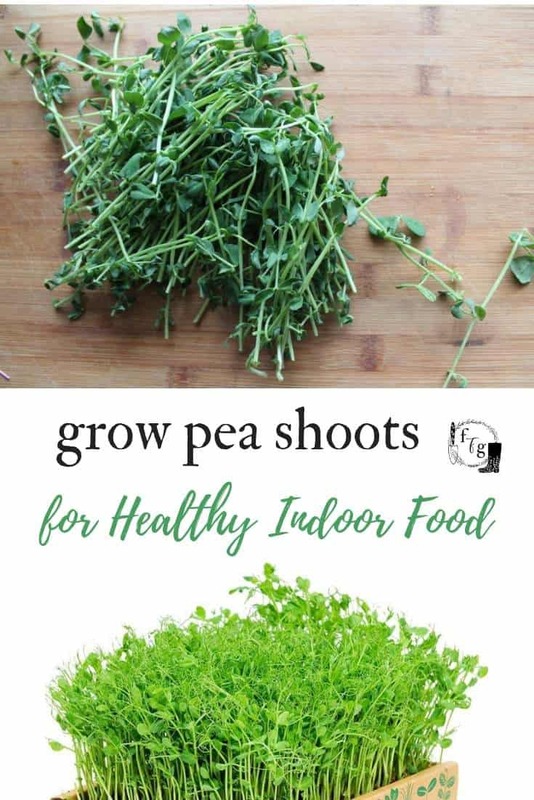 Pea shoots are grown indoors and sown closer together to create that nice long thin stem. Pea plants have more space between them for less root stress from competition so they can be transplanted outdoors. The thicker stem for pea plants is preferred, whereas as thin shoot is nicer for eating. Both the shoots & plants for peas are grown in soil and need light and water. 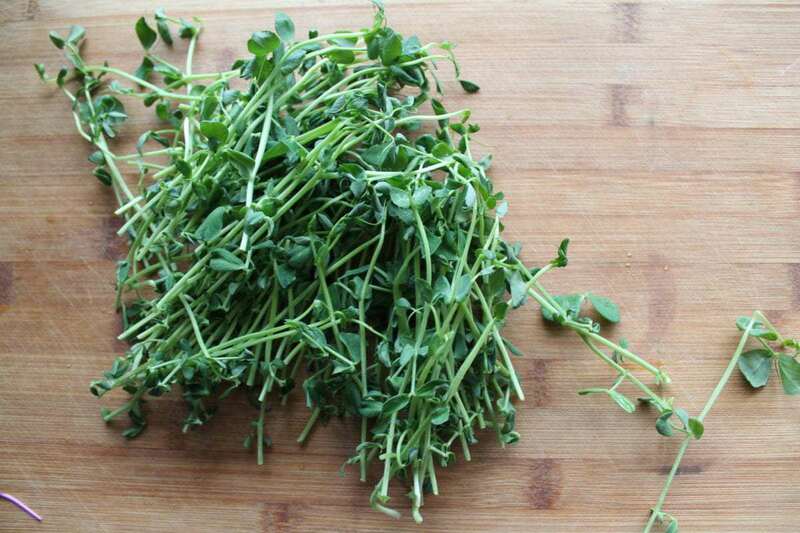 Pea shoots are grown tall and thin and meant to be eaten fresh like you would sprouts or microgreens. People mistake pea sprouts for pea shoots, when in fact they are different. 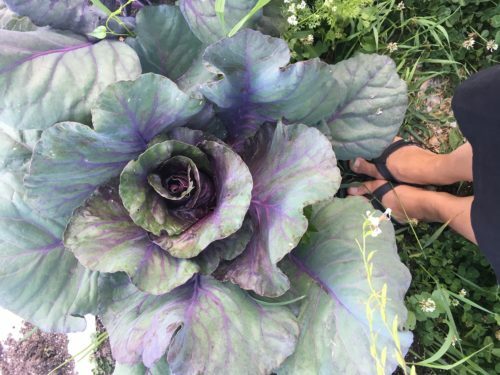 Sprouts are grown without soil. 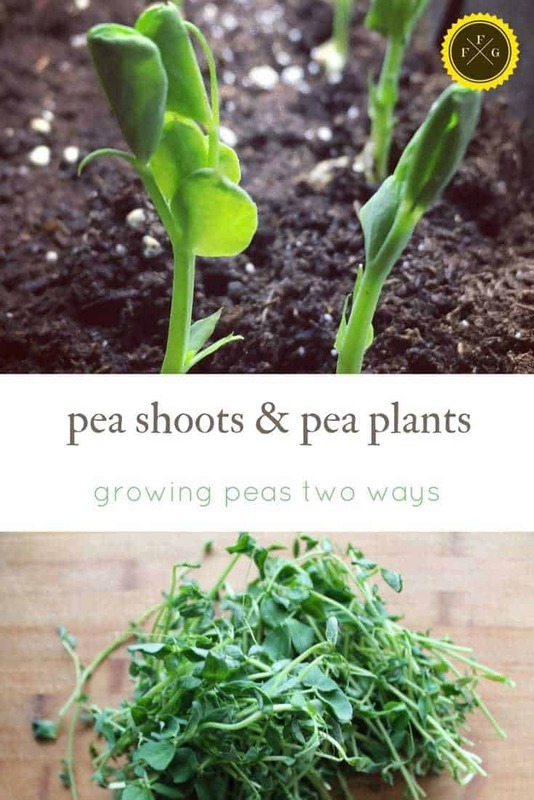 You can technically sprout any pea seeds into a shoot. 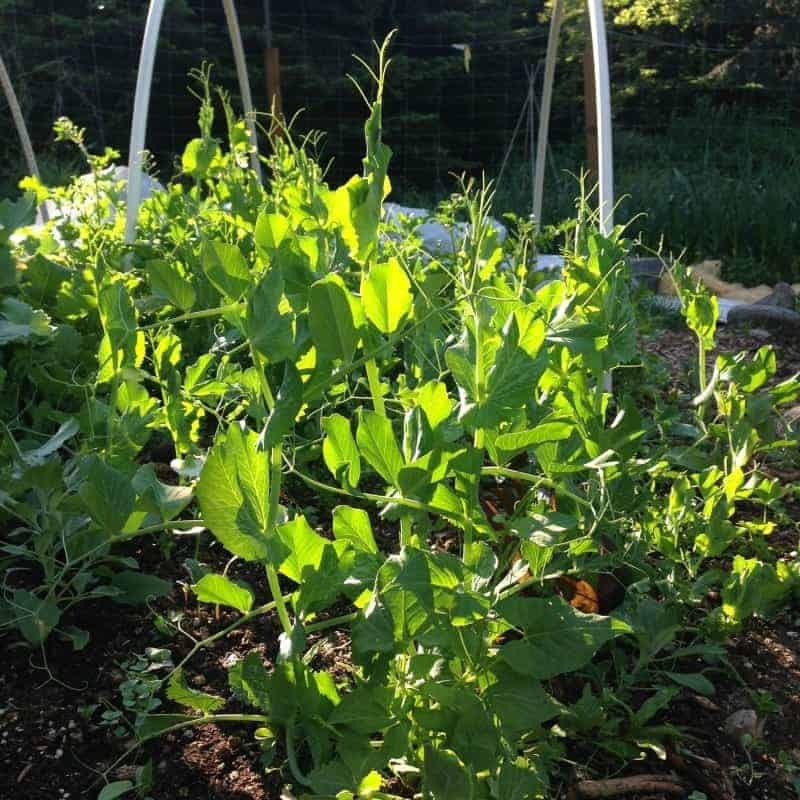 When you grow peas for outdoors they’ll be a choice of pea type: sugar snap peas, snow peas or shell peas. Use a seed starting tray and use potting soil. 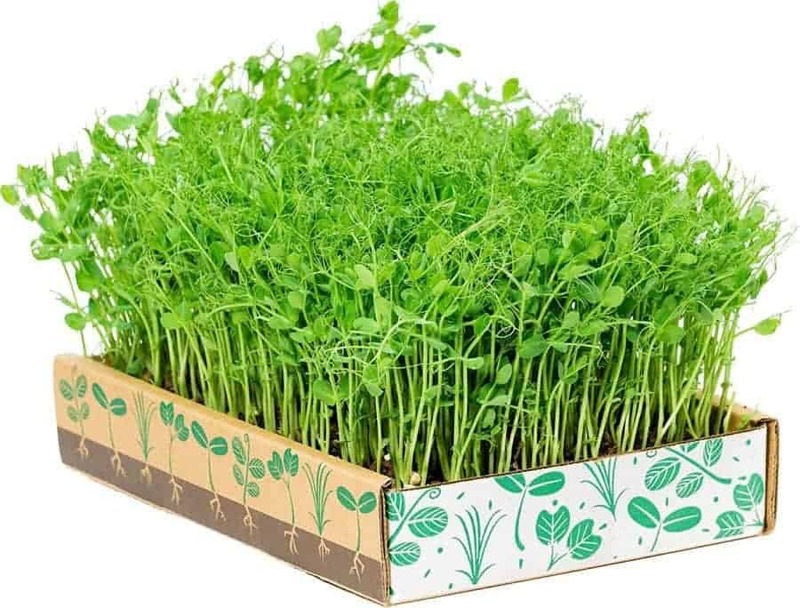 You can also buy microgreen trays which are more swallow. You can also buy pea starter kits (& other microgreen starter kits). Sow the seeds into a shallow layer of soil, and keep moist. Make sure you’re using a potting mix or seed starter soil and nothing with manure. You can sow them very densely for pea shoots. You can place another tray over top of the seeds to keep it dark until the seeds have sprouted. It’s not necessary. You can also pre soak the seeds in water for a few hours to plump up before sowing but I don’t bother. Water your seeds and soil and watch them sprout and grow quickly! Harvest with scissors once the seedlings are 8-10cm (3-4″) in about 10-20 days. There are a couple of things you do differently when growing pea plants instead of pea shoots. Spacing and age are two big factors to making sure pea plants to go outside are a success. It’s often said that peas dislike root disturbance so much that growing pea plants to transplant doesn’t work. I’ve found that as long as the seedlings aren’t too old or stressed out, growing peas to transplant works out great. You just need to be gentle and careful when transplanting. Growing pea plants is easy, as peas are one of the easiest crops to grow. 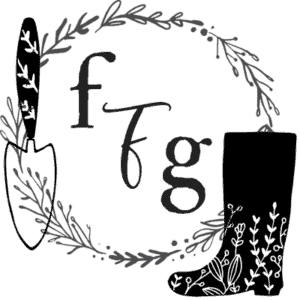 I’ve written a post on how to grow peas and how to set up your pea trellis, which also discusses the different pea types. 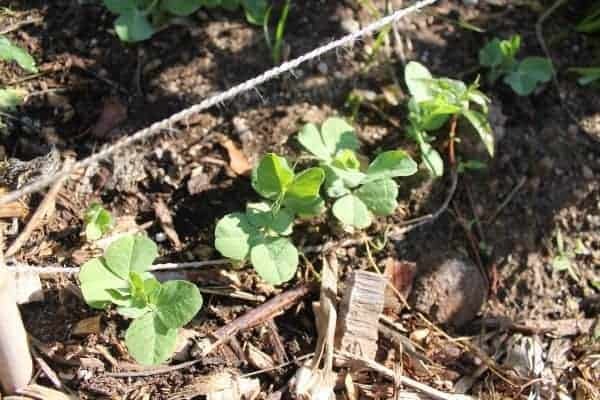 You can sow pea seeds outdoors as soon as the soil can be worked. 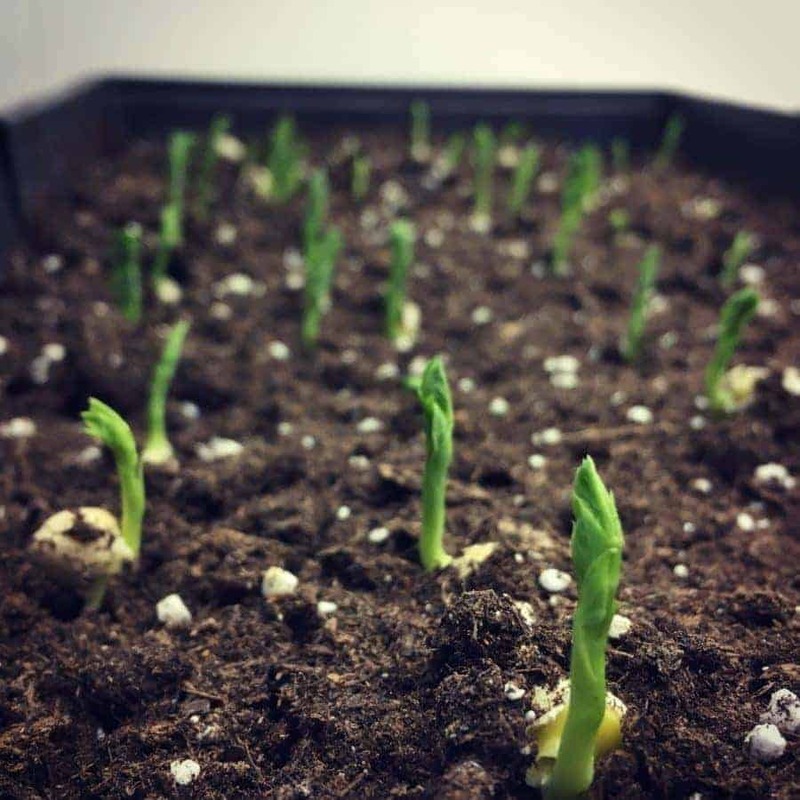 When growing peas indoors to transplant, you want to try and time them to be ready to transplant in 2 weeks. Pea seedlings grow very fast, and will be ready quickly so make sure your garden beds are ready. Peas can be sown outdoors 4-6 weeks before last frost. This depends on where you live, for example our snow sometimes melts early or later depending on the year. That means you need to backdate starting your pea plants indoors to time for when you’d sow them directly outside. For example: you normally sow your peas the first week of May, sow peas indoors 2 weeks before to transplant outdoors. This gives you a 2 week head start on harvesting your peas! Again be extra careful when transplanting. It’s easier to sow peas in a seeding tray rather a 72 cell start tray, but any pot will do depending on how many plants you plan to grow. Sow peas 2-3 inches a part in seed starter soil or potting soil. Usually seed starter soil is used for growing seedlings, but a potting mix is used to grow pea shoots. Because your pea seedlings are more like pea shoots and aren’t grown indoors for too long like most seedlings, you can grow them in either. Water your soil and pea pods thoroughly. Some people soak peas to soften the shell before sowing outdoors or growing pea shoots inside. I personally don’t and just water them in the tray or garden. Keep the soil moist but not over watered (which can create seed starting problems). I grow peas under grow lights , although you could use a window but they will start leaning towards the light. 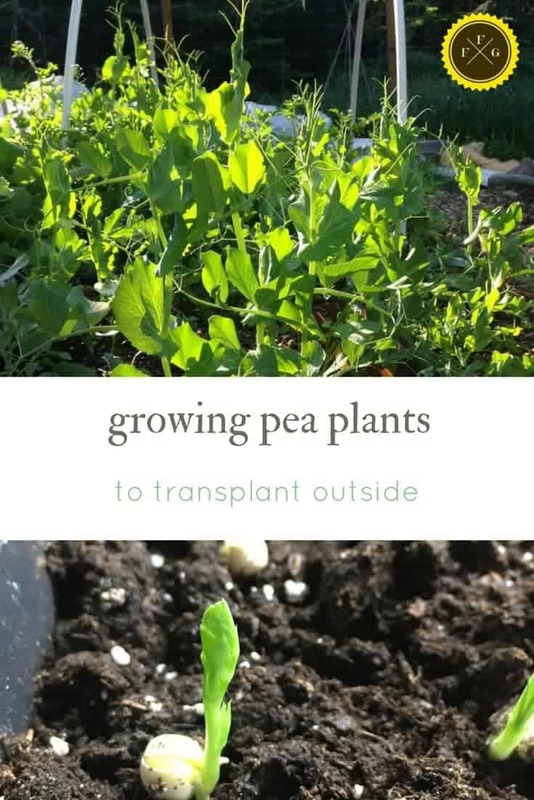 After your peas are 2 weeks old you can transplant them outdoors after hardening them off. If they’re too big they may not transplant as well, although I’ve managed to transplant at the 3 week stage too. I’ve transplanted under spring season extenders to get an extra early start. I’ve even had it snow on my spring season extenders late April with pea seedlings underneath and they were fine! Transplant them gently being extra careful with the pea roots. Space plants about 2-7cm (1-3″) apart in the row and set up your pea trellis if you’re not growing bush peas. Usually I find that pea seedlings are much thinner than direct sowed peas for the initial stages. Below you can see directly sown peas bush out very quickly. They plants will thicken up once outside and in the wind. 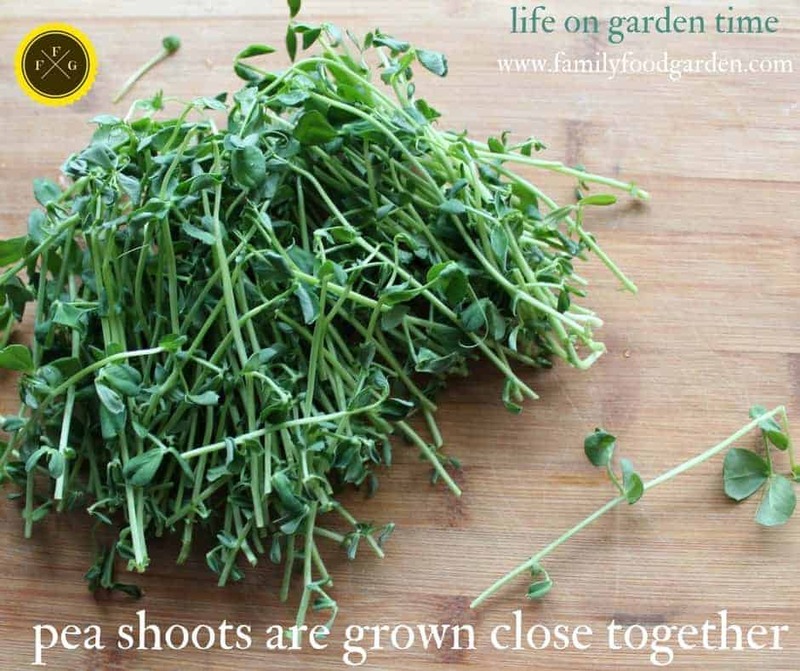 Have you grown pea shoots or pea plants to go outside?